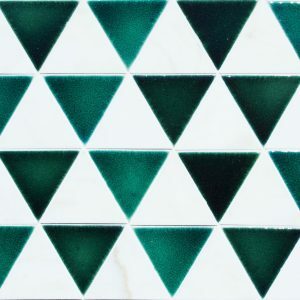 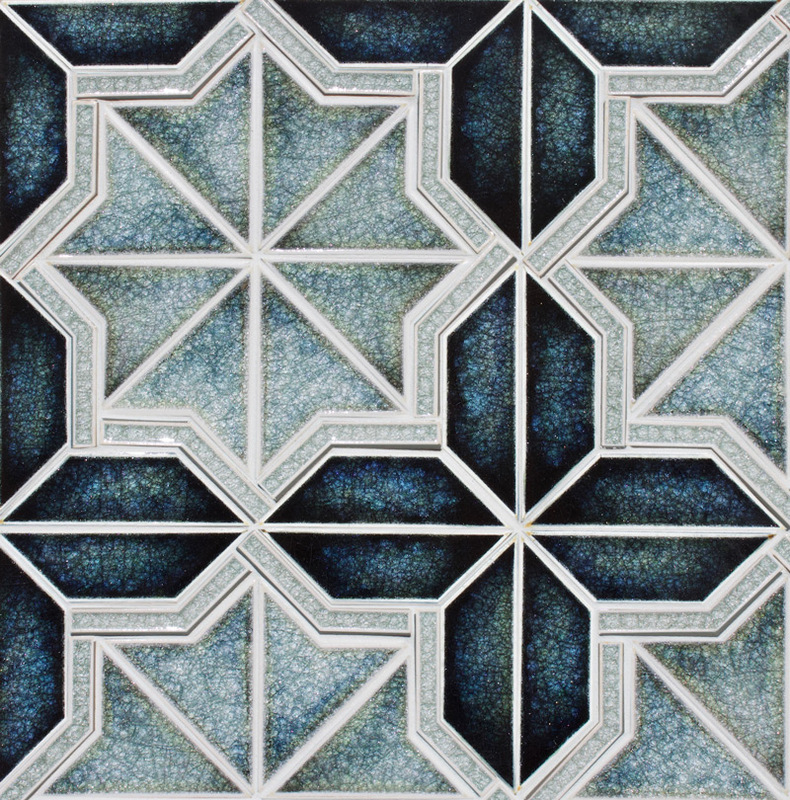 Riad mosaic shown in Peacock quartz, Ink crackle. Riad mosaic shown in Alabaster sheer, Fossil gloss and Platinum sheer. 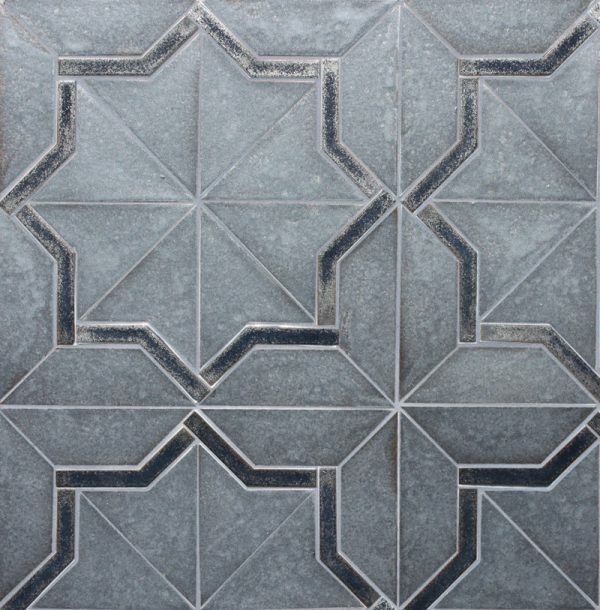 Riad mosaic shown on a 15″ x 15″ area in Blacksmith and Mercury alloy glazes. 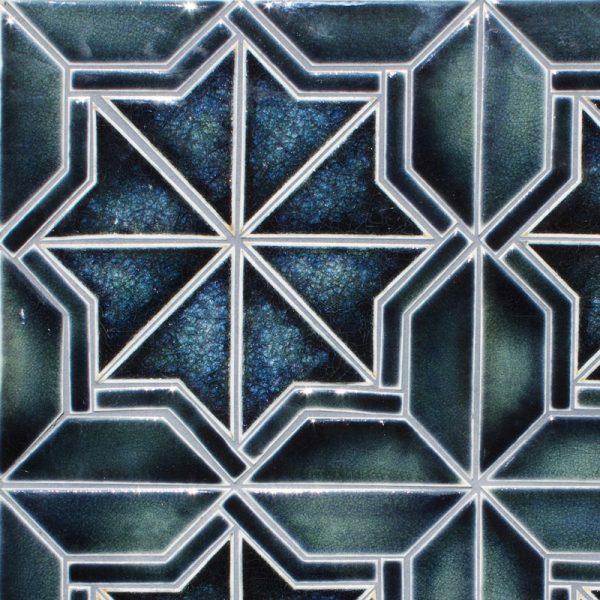 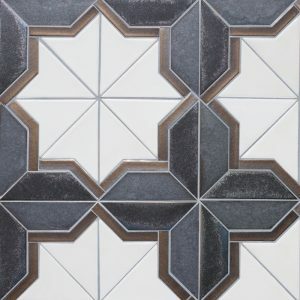 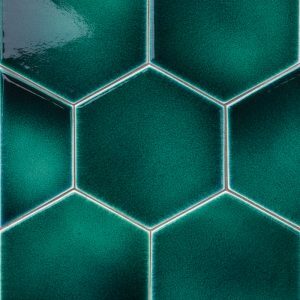 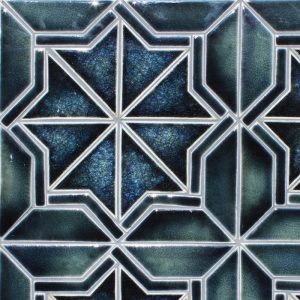 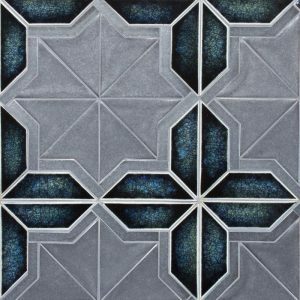 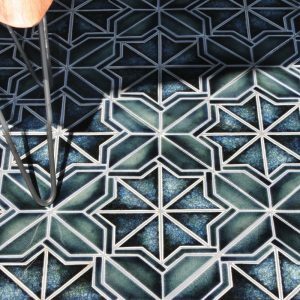 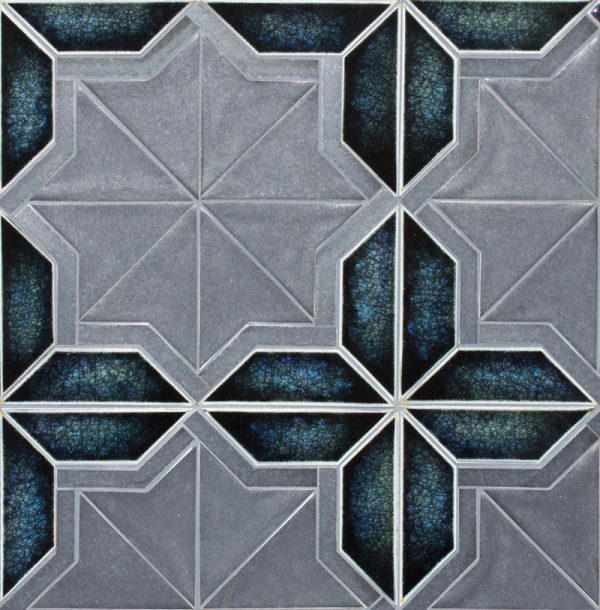 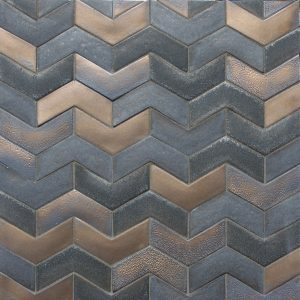 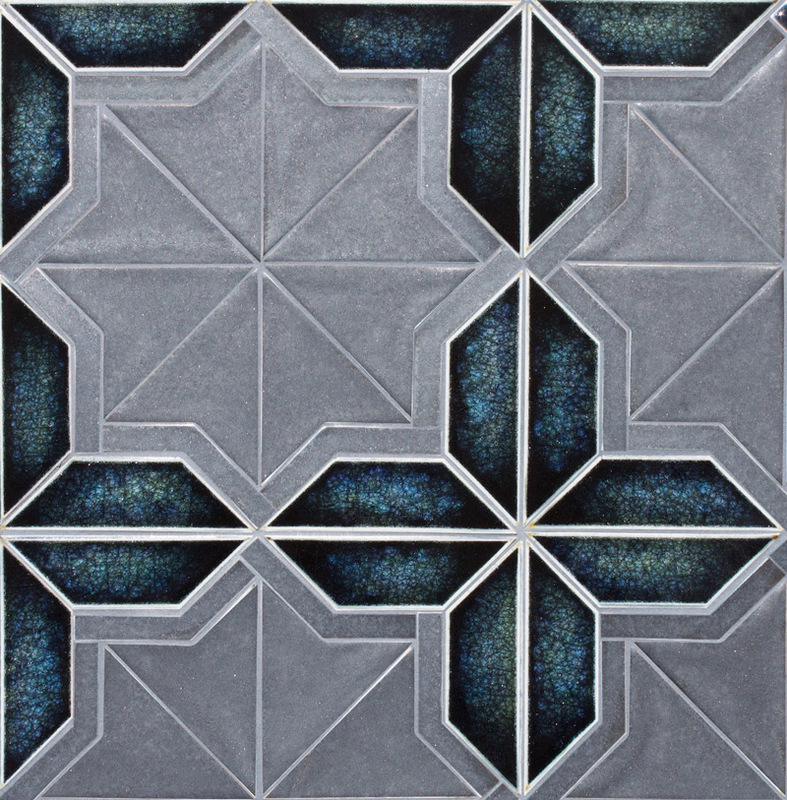 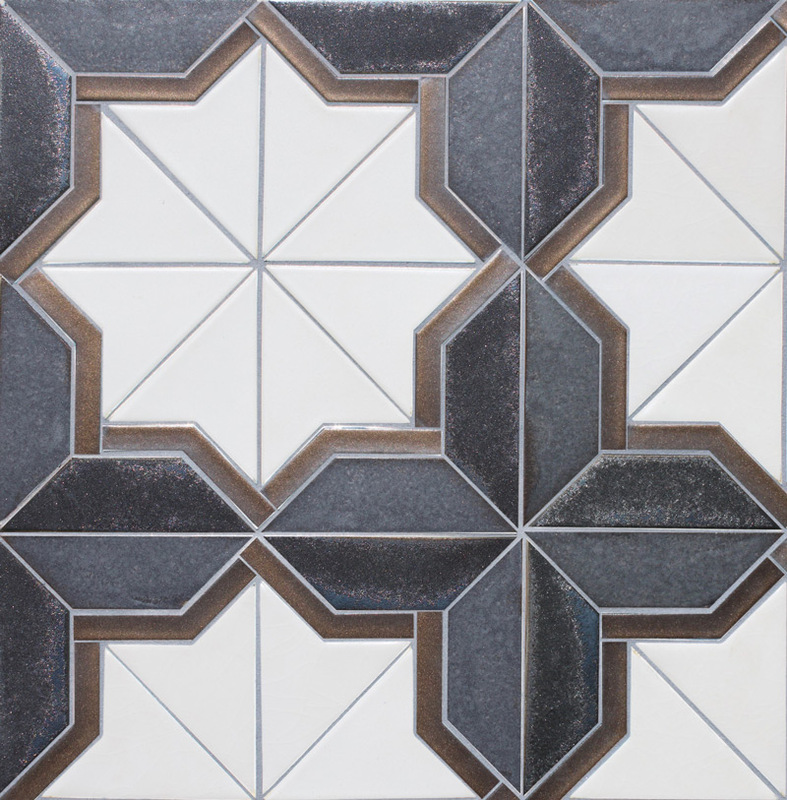 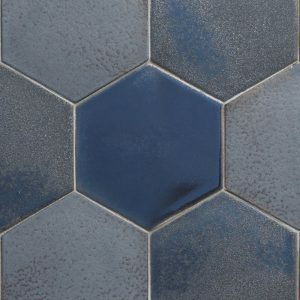 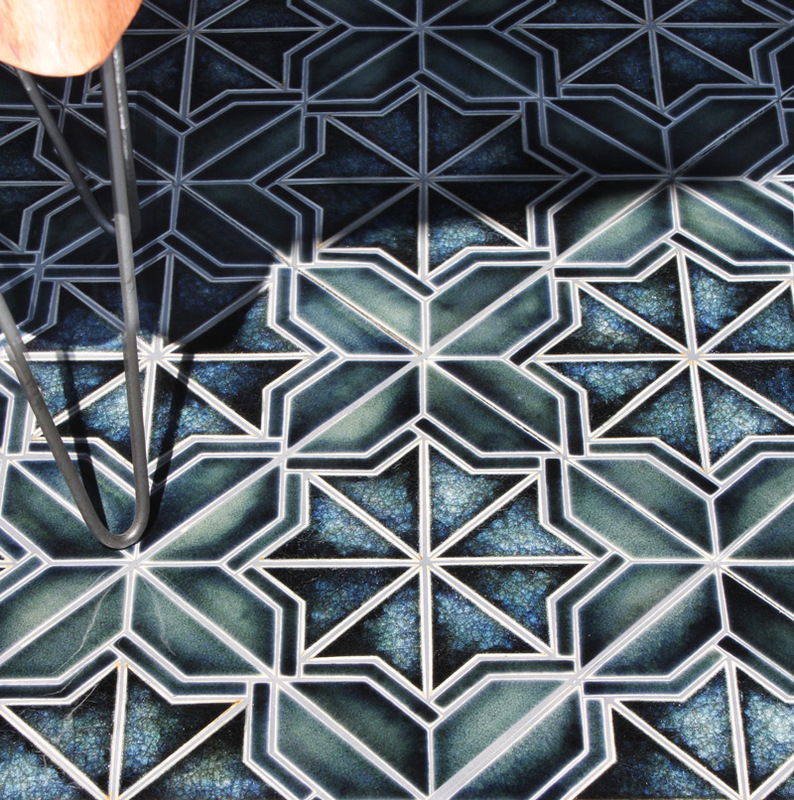 Riad mosaic shown on a 15″ x 15″ area in Blacksmith alloy and Peacock quartz glaze. 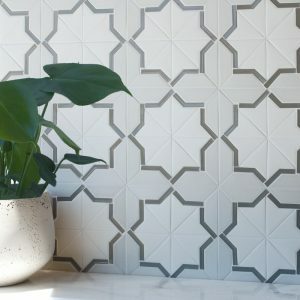 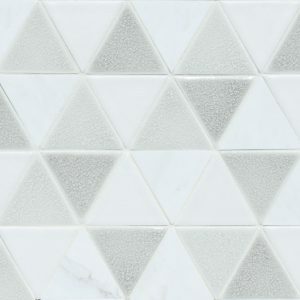 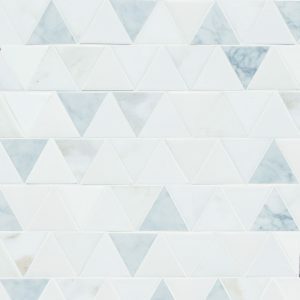 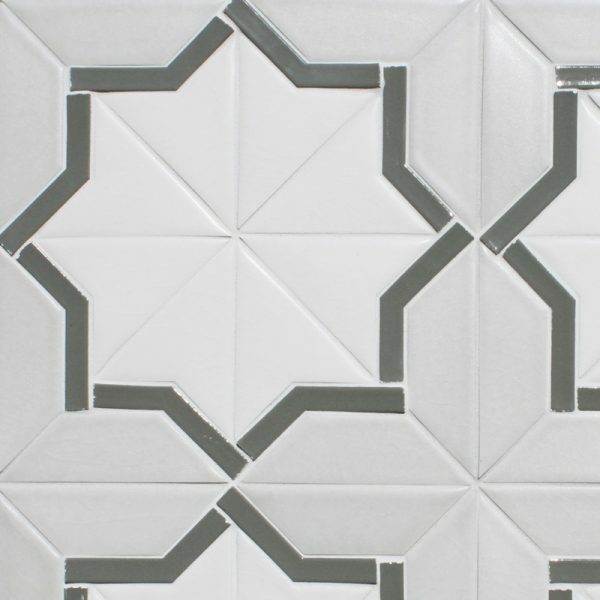 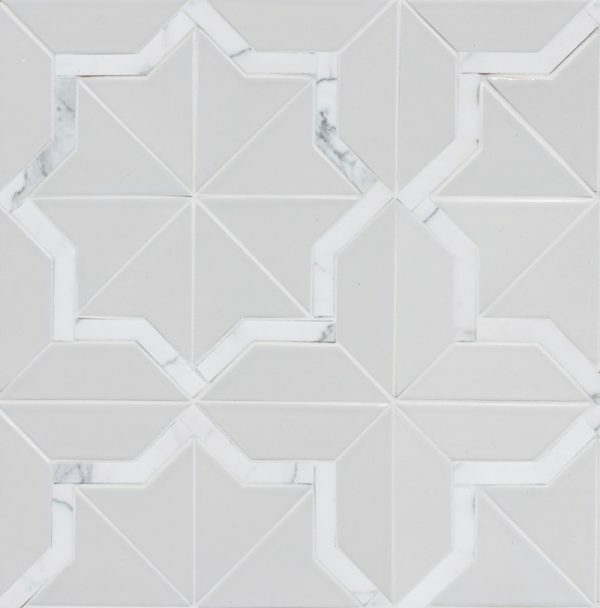 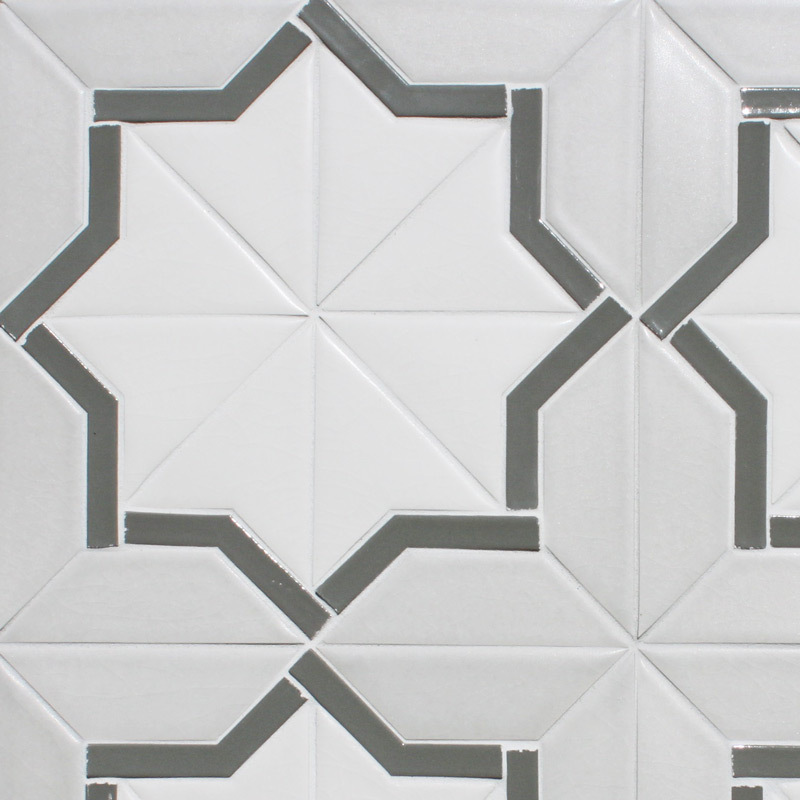 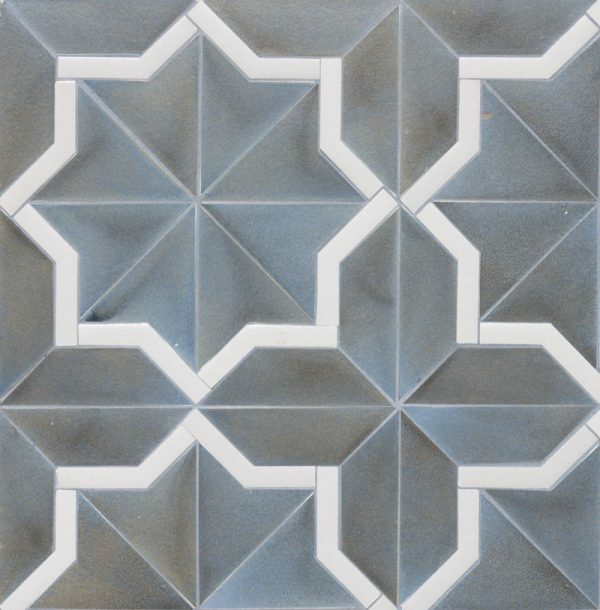 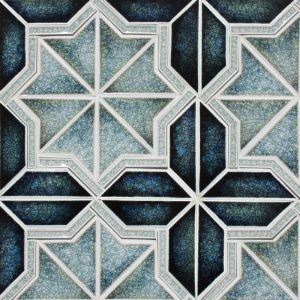 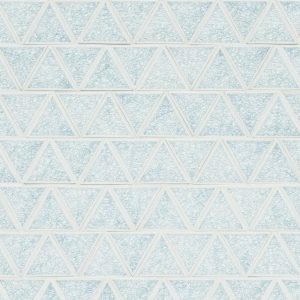 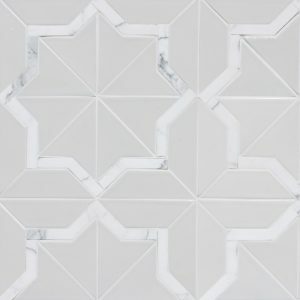 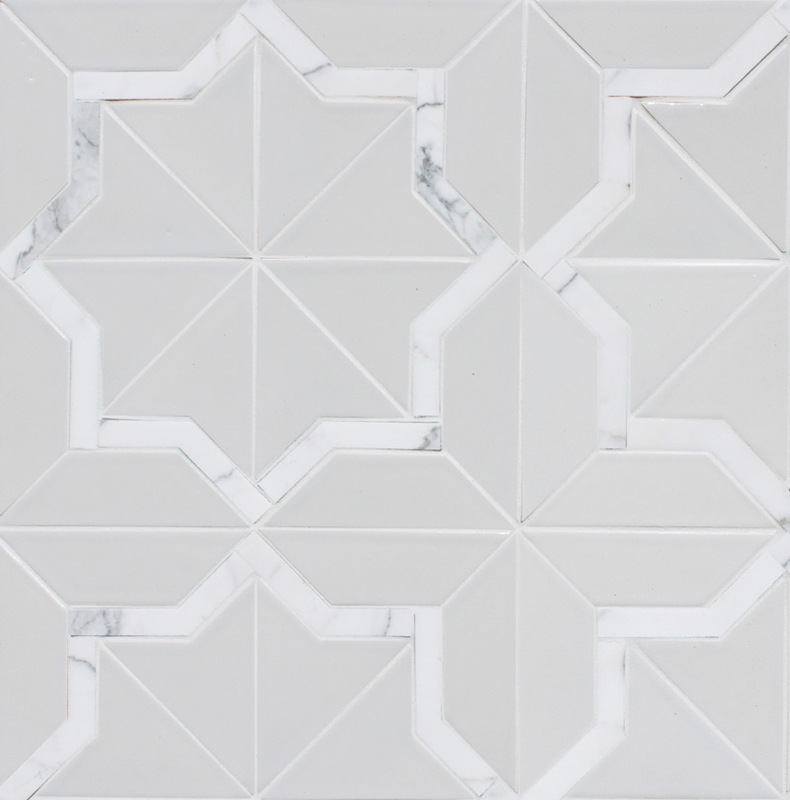 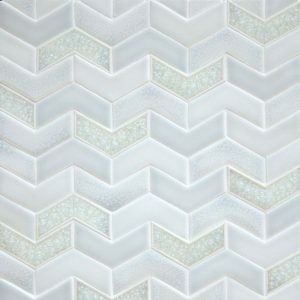 Riad mosaic shown on a 15″ x 15″ area in Quail gloss and Calacatta honed marble.